Ambiguity runs through the life blood of Doctor Who. It has survived for over 50 years by not having many hard and fast rules, and breaking the few it has. The series is far more interested in the stories it can tell with sci-fi concepts than explaining the exact scientific ins and outs of how everything works. The TARDIS travels in time and space in a way that enables the show to go anywhere it likes: there doesn’t need to be a reason, but sometimes it seems the TARDIS has one. Falling by Jonathan Barnes is the fifth Short Trip of Series 7. 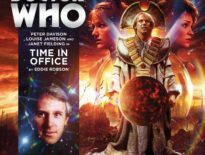 This First Doctor story is read by Anneke Wills and features Ben and Polly as they try and cope with an increasingly frail Doctor, a man they barely know. The exact occurrences of the plot are left for the listener to understand; your interpretation may differ vastly from mine. For a story soaked in poeticism and metaphor, the beginning is deceptively domestic. An older Polly stands in her living room shortly before she moves house, contemplating whether moving is the right thing to do. She is looking at the piles of boxes that contain the belongings of her and her husband, Ben. Yes, that’s right. Thankfully, this story gives Ben and Polly the happily married life we would all hoped for them. It is my understanding that some books have made the history of their relationship more complicated; I like the simpler idea that it all works out. Whilst the setting may begin mundanely, the language certainly isn’t. I have to admit that I was slightly put off at first. It seemed that Barnes was over describing things and being needlessly flowery. As the story progressed and expanded its themes, the tone fitted perfectly. 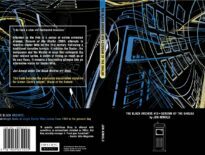 Ben and Polly awake in the TARDIS, shrouded in darkness. Both the Doctor and his incredible Space-Time Ship seem to be out of sorts. I shall not discuss the individual plot points here to avoid spoilers, but I think this will take another listen to fully appreciate. Something that can be appreciated on first listening, however, is Anneke Wills’ narration. She is as excellent as usual: she switches between narrating and character voices with ease. Her voice for Ben is especially good and there were times when I forgot I was only listening to one performer. She is particularly great given the complex nature of the prose. Her voice adds to the lyrical pace of the whole audio. The story is also rather poignant because it deals with the First Doctor shortly before his regeneration (it was called a renewal then, but I don’t think anyone is suggesting it was anything different to what happen to every other Doctor), which of course we’ve since revisited in the 2017 Christmas special, Twice Upon A Time. It is unusual, and so especially fascinating, to see (or at least hear!) a story set in such an early year that foreshadows the Doctor’s change. It’s also interesting to note that this story seems to come right before the Tenth Planet and is called Falling; meanwhile, Peter Capaldi’s penultimate story was The Doctor Falls… Coincidence? I can’t recommend this release enough. Go and listen, even if you’re not too big a fan of the First Doctor. It’s worth it. 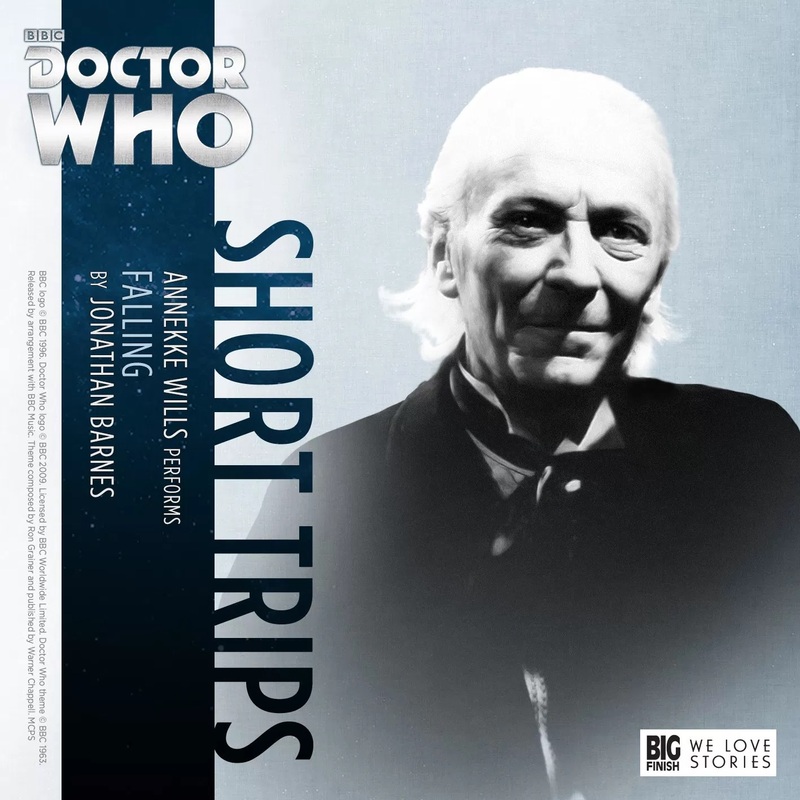 Short Trips: Falling is available now from Big Finish as a download-only story for just £2.99.